The entirely admirable James Kerr has invited me back, less than a year after my previous triumph. It's a great set-up - excellent sound and lighting and everything - so I hope a whole bunch of you will be able to come. Organiser James Kerr interviewed Pete at length before the gig. 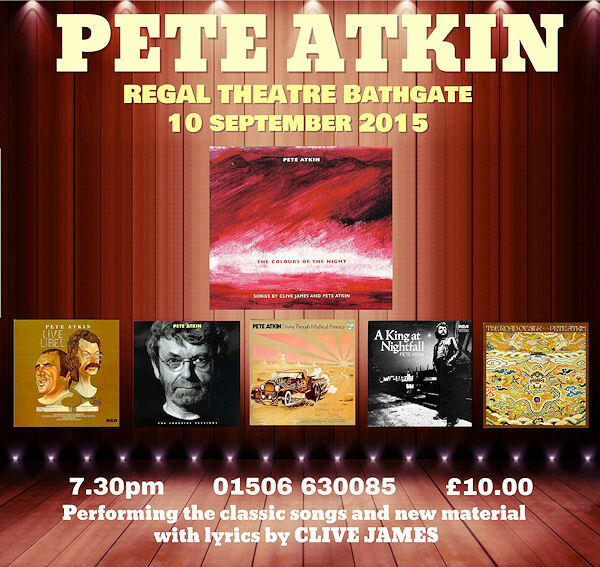 It's a 93-minute programme for Bathgate's Regal Music Club, interspersed with several tracks from Pete's recorded work, old and new. Listen HERE.